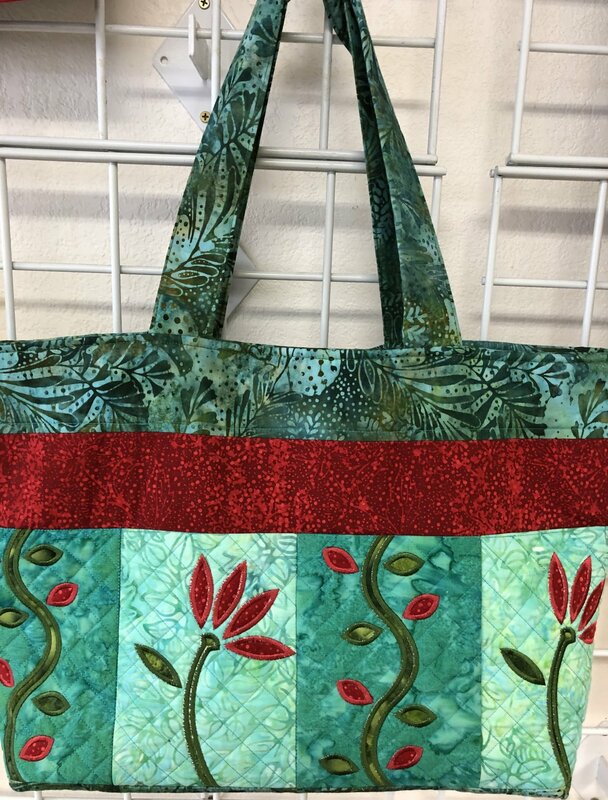 This is a truly fabulous tote bag, which is embroidered and quilted in the hoop. The design is made for a 5" x 7" hoop and is completely lined and finished beautifully. There are two different blocks with applique designs.